Prime Minister Narendra Modi said here on Friday that he was ready for a contest between the performance of four generations of the Nehru-Gandhi family and that of four years of a chaiwala [tea seller] . 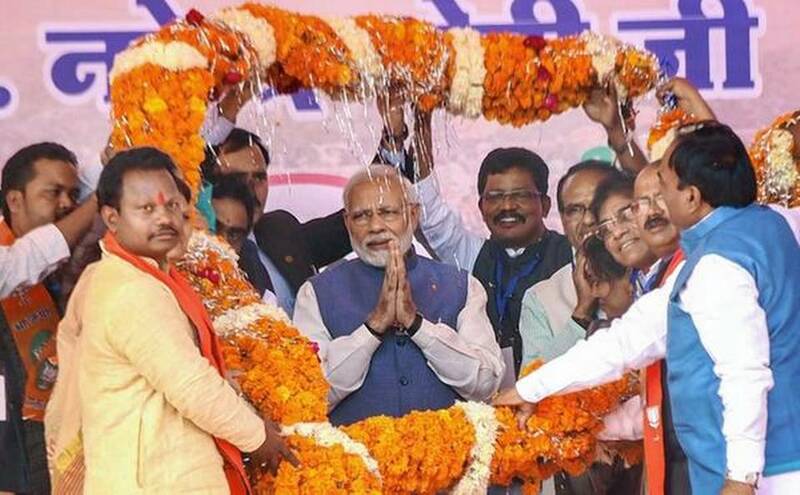 At a campaign meeting for the November 28 election in Madhya Pradesh, Mr. Modi said his government had provided the poor access to banks and power supply and cooking-gas connections, which the Congress had been unable to do during its 55-year rule. The Congress, he said, was seeking an account of the BJP government s performance in the State, but it should explain what it did for the State during its five-decade rule. It is clear before you, 15 years [of the BJP rule in Madhya Pradesh] versus 55 years [of the Congress rule]. And I am surprised! You should also seek an account of [the performance of] Modi. I insist on it.. Come on, let there be a contest, he said. Hitting back at Congress president Rahul Gandhi, who termed demonetisation the biggest scam in the history of Independent India during a meeting in the State, Mr. Modi said, Only those Congress leaders who earned money unfairly are crying” over the note ban and not the common man. He asked the audience if they were still facing problems from the scrapping of the old ₹500 and ₹1,000 notes, and they replied in the negative. Calling Congress leaders jhooth ke shehanshah (kings of lies), he alleged that their actions belied their words and it was part of the Congress character . Without naming anyone, the Prime Minister said: In Parliament too, Congress leaders talk of love, but express anger in Madhya Pradesh.